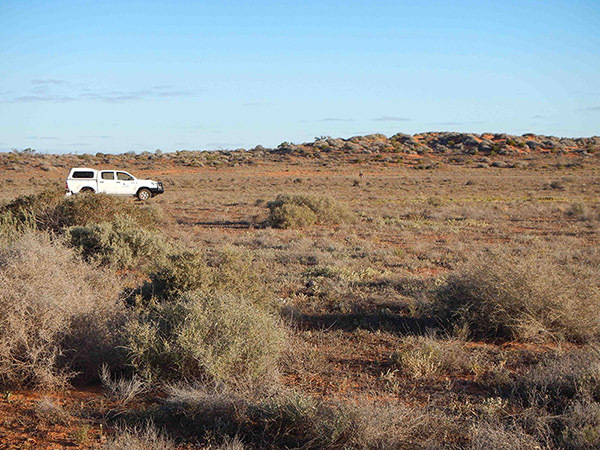 Predicting the response of native vegetation in Australia’s arid rangelands to management actions, such as changing grazing regimes, is often hampered by a lack of knowledge regarding the nature of native plant biodiversity at a local scale. Simply measuring above-ground plant species richness can be quite misleading because in arid habitats, much of a site’s plant diversity, particularly that of short-lived species, may be present as dormant seeds in the soil seed bank. We are investigating factors influencing variation in both above- and below-ground plant diversity in a large (ca. 420,000 km2) conservation reserve in arid South Australia. This reserve, Witchelina, has a long history (ca. 140 years) of pastoral use, but was destocked in 2010 when it was purchased by the Nature Foundation of South Australia. Particular factors being investigated include variation among different habitats and effects of past grazing intensities. For example, we are comparing the diversity and composition of the seed banks and above-ground vegetation in areas close to watering points with a history of heavy grazing with those of areas more distant from watering points that have been less heavily grazed. Alison Nicolson will also speak about her honours research on Witchelina, for which she used existing DEWNR photopoints monitoring sites at Witchelina to study regeneration since 1999. By comparing, photopoint photos taken in 2014 with field measurements, she has also been able to evaluate the reliability of using photopoints alone as a monitoring tool. All Herbarium staff, honoraries, volunteers, students and guests welcome. This entry was posted in It’s All About the Plants on 19 November, 2014 by Jürgen.